Pourover brewing takes the automation out of coffee brewing and puts them in your hands. At home, this allows for a perfect morning cup versus a wasted pot. At a restaurant, it is a showcase piece as an after dinner treat. In your cafe, it allows your barista to demonstrate their talents and in that time discuss with the customer why and what they are doing to the coffee. In the end, pourover methods bring out the best of the beans and make a connection between the coffee and the drinker. 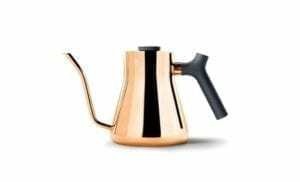 There are many set ups for pourovers. Below is a list of those we find to be superb. For questions regarding instructions on brewing, check out our Brewing Tips Page or contact any barista at Up Cafe. With all our pourover set ups, you will need filters, which can be found Here. Greetings fellow coffee lovers. What happens when a love for coffee and a passion for product design meet up for a romantic candlelit dinner? Fellow happens. Fellow was started with the goal of bringing product ideas from our sketchbook to your kitchen table. The Chemex Coffeemaker was invented in 1941 by Dr. Peter Schlumbohm PhD. Made simply from non-porous, borosilicate glass and fastened with a wood collar and tie, it brews coffee without imparting any flavors of its own. On permanent display at MOMA NY and other fine museums, it is truly a work of art. Few products in this century can match the flawless blending of design and function of the Chemex®. Its visual elegance has earned it a place in the permanent collection of New York’s Corning Museum of Glass. 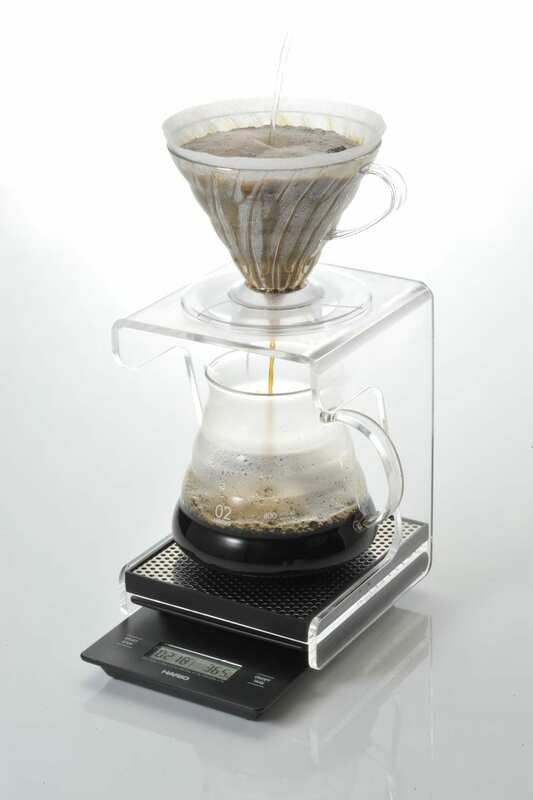 The Chemex® coffeemaker was also selected by the Illinois Institute of Technology as one of the 100 best designed products of modern times. The Clever Coffee Dripper combines the best features of French press and filter drip brewing, eliminating the drawbacks of each. With French press brewing, you can control steeping or infusion time, but heat loss and sediment in the cup can be a problem. Brewing with a paper filter is easy and convenient. Once ready, lay atop your cup, which will release the lock, allowing a free flow of coffee to your cup. Hario, derived from the Japanese King of Glass 玻璃王(Hario), uses 100% natural minerals to refine heatproof glass making it an environmentally friendly material. The glass is able to withstand high heat and acid making it suitable for use in microwave ovens. To improve the level of safety of heatproof glass 100% natural salt is used to remove bubbles that form in the glass during the manufacturing process. Hario continues to create heatproof glass that is safe to use and safe for the environment. Make one custom cup of coffee with this special appliance by Melitta. In black, it brews one customized cup at a time, right into your cup or mug. Your coffee is always fresh, never scorched. Perfect atop our wooden brew station! Hardwood, laquered 4-cup station includes four Melitta Coffee Brewers. Also works with the Hario V60 Coffee Drippers. Solid, sturdy design makes for a perfect brewing station for the cafe or at home.